Never miss a show--become a subscriber and save! 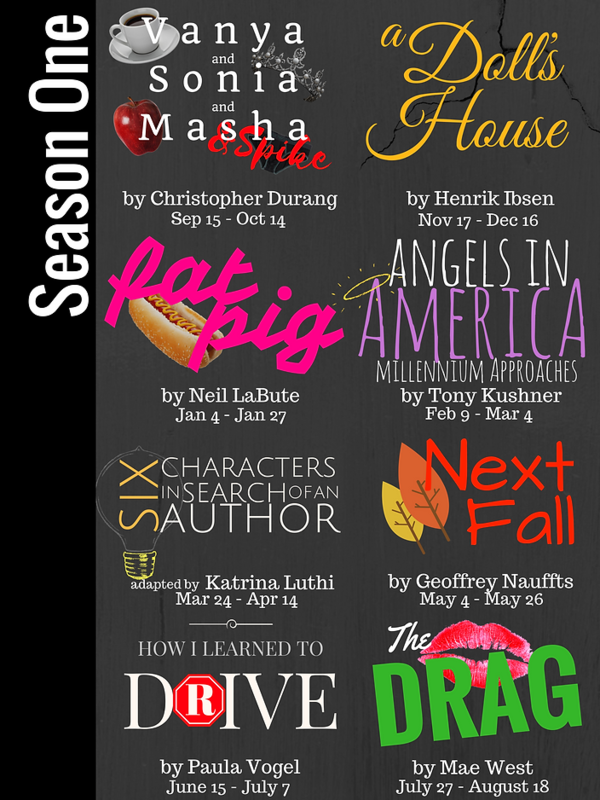 Season subscriptions are the most affordable and most flexible way to enjoy every show in our season. 2: You will be automatically charged the subscription rate approximately one week before opening night of each show (exact dates below). 3: Ticket voucher code will be emailed directly to you. 4: Redeem voucher on our website for any night of the run at your leisure--completely flexible! 5: Use discount code (also emailed to you) to buy any additional tickets you may want for friends, family, and guests. In addition to our 8-show season, subscribers will receive exclusive discount codes to any special events held in our space. Please keep in mind that if you subscribe AFTER the charge date for a particular show, you will NOT be charged, and therefore you will not receive a ticket voucher for that production. HOWEVER you will still receive the discount code so you can purchase a ticket for yourself (and whomever else you'd like) at the special discounted subscriber price. $12 or more per production. One ticket voucher for each show in our season. Discount code to purchase unlimited additional tickets at special subscriber price. Discount code to any and all special events outside of our regular season. $24 or more per production. Two ticket vouchers for each show in our season.